This wallpaper is silk screen printed using traditional techniques and skilled craftmanship. Truly a unique work of art! 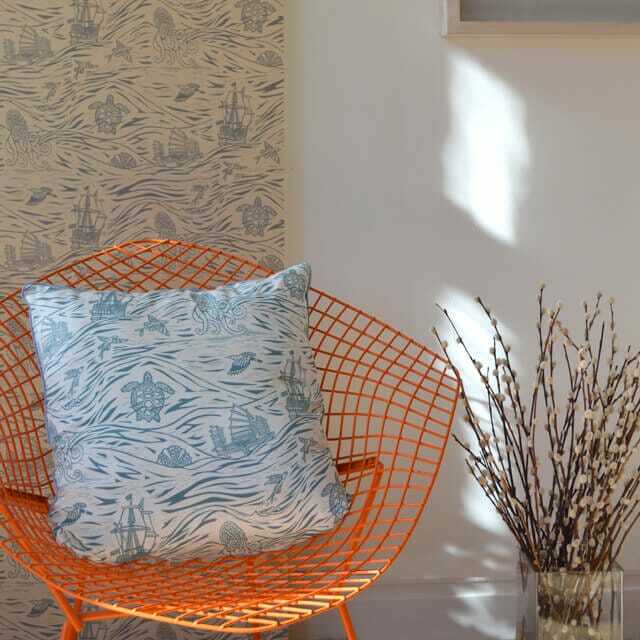 Our wallpapers are silk screen printed by hand using traditional techniques and skilled craftsmanship. The papers evidence the marks of the printmaker as the printing ink can be seen on the surface of the quality paper. Truly a unique work of art! The papers are printed to order in Glasgow. 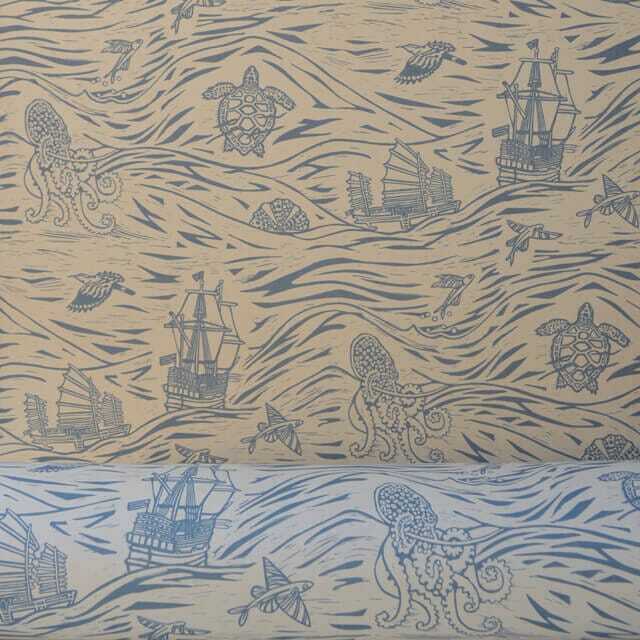 Spice Routes is a repeating block printed design featuring sailing boats, sea creatures and rolling waves. It was inspired by the adventures of the Spice Traders of the 17th Century who sailed to the Far East in search of rare Spices. The design evokes a1930s wallpaper style. 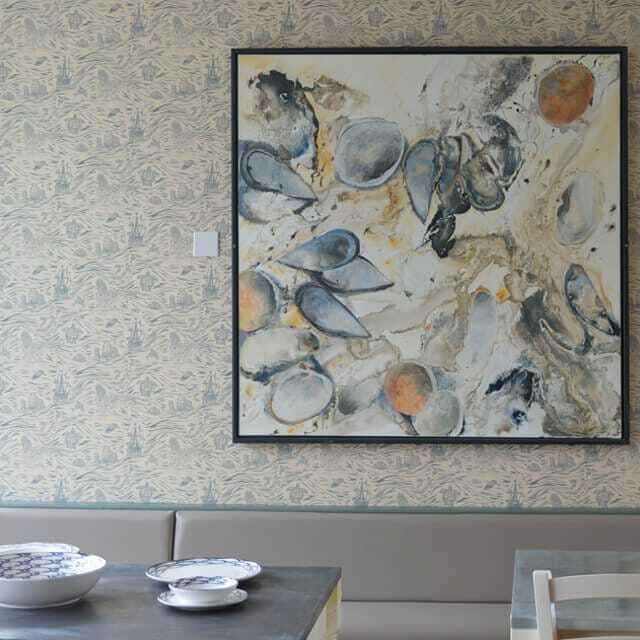 The paper can be seen at The Luss Seafood Bar on the shores of Loch Lomond and is suitable for anyone with a love of Sea Voyages!